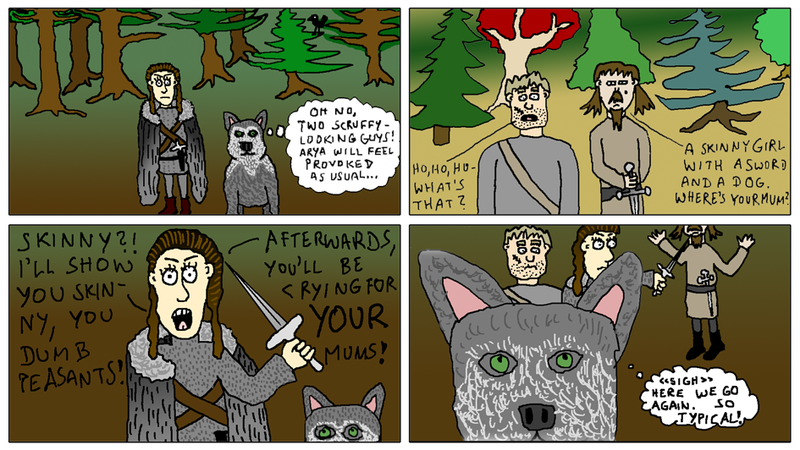 In this one, fierce fighter Arya Stark and her equally awesome direwolf Nymeria encounter two unfriendly strangers. Arya is easily provoked and will take any excuse to pick a good old-fashioned sword fight. Nymeria may object, but deep inside she'll actually enjoy watching the fight.